Welcome to Metro 1 Family Dental, where our patients are considered a part of our dental family. Patients frequently comment on how personable and friendly our staff and dentist are. They know that when they come to our office, they will receive our personal and undivided attention. 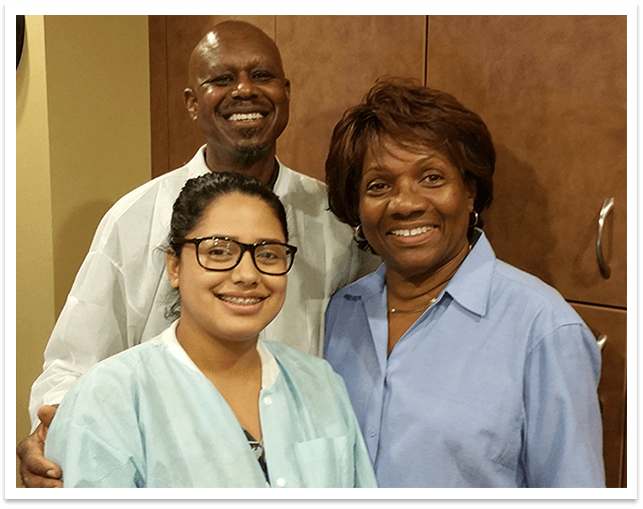 Our experienced dentist, Dr. Trevor Salmon, and his welcoming staff are dedicated to giving you the best in cosmetic and family dentistry, from ClearCorrect® invisible braces and dental implants to root canals and periodontal (gum) treatment. We also rely on digital X-rays and other advanced dental technology to keep our patients safe and healthy. Your overall health and comfort are our top priorities! Whether you are interested in strengthening, protecting, or enhancing your smile, we are eager to help you. When you visit our office, we will do everything possible to make your experience comfortable and efficient. We have been serving our patients in Hyattsville, Maryland, and the surrounding areas of Washington, D.C., Riverdale, College Park, and Laurel for more than 25 years. If you are looking for caring and professional cosmetic and family dentistry, we invite you to call us today. Our friendly, knowledgeable team is excited to help you achieve the gorgeous smile you have always wanted! We are excited to hear from you soon.